Pink is the new black for inmates at one Georgia jail. CHICAGO (WLS) -- Pink is the new black for inmates at one Georgia jail. 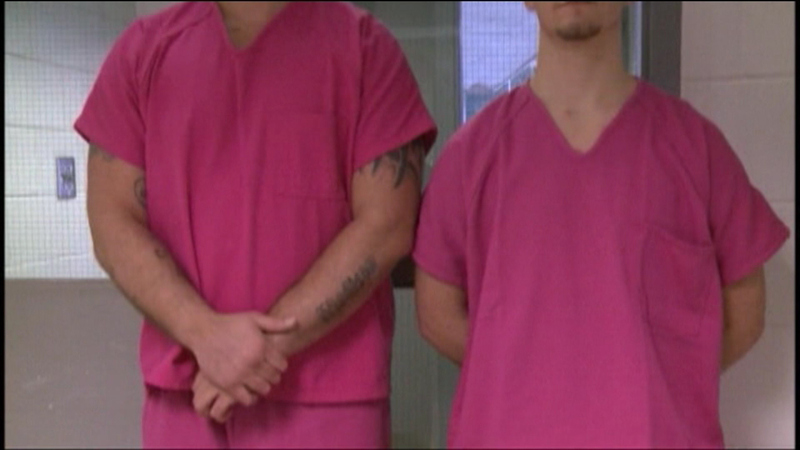 Starting this week, the inmates at the Grovetown Jail are wearing hot pink uniforms. They're said to help increase visibility for the new inmate work detail, which includes picking up trash and cleaning the roads. Guards say the pink clothing reminds the inmates who's in charge. "Wearing the pink lets them know we run the jail and they don't," said Sgt. Cameron Brown, Grovetown Dept. of Public Safety. Guards hope the pink uniforms will stop inmates from getting in trouble again and landing back behind bars.